A skier shreds powder at Alpine Meadows last season. A longtime dream of connecting Alpine Meadows to Squaw Valley is planned to open for the 2019-20 season. A decades-old dream to connect two of Lake Tahoe’s premier ski resorts is closer to reality than ever as Squaw Valley Alpine Meadows announced on Oct. 25 plans to install a 2.46-mile, base-to-base gondola connecting The Village at Squaw Valley and the base area at Alpine Meadows. The California Express gondola is scheduled to open ahead of the 2019-20 winter season, and would take passengers on a 13- to 16-minute ride between the two mountains, realizing a long-held dream of the early skiers who brought the Olympics to the area in 1960. 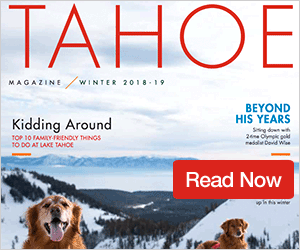 “With the connection of two of California’s most iconic mountains via a gondola offering spectacular views of Lake Tahoe and the surrounding Sierra Nevada, we wanted a name that was fitting and had a clear association with California,” said Andy Wirth, president and COO of Squaw Valley Alpine Meadows, in a statement from the resort. Wayne Poulsen, who founded Squaw Valley, had stated his vision of connecting Squaw Valley and Alpine decades ago, according to Wirth, and now the resort will look to uphold that dream with plans of creating an iconic chairlift between the two legendary mountains. 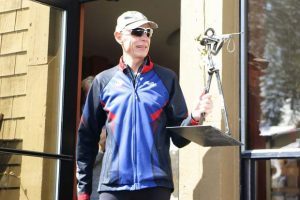 “It’s going to be very different from anything that we currently have,” said Liesl Hepburn, Public Relations Director at Squaw Valley Alpine Meadows. 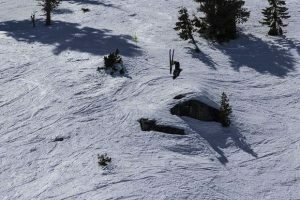 The proposed connection between the mountains is currently under a joint agency review and assessment with the Unites States Forest Service (USFS) and Placer County, according to a statement from Squaw Valley Alpine Meadows, and would connect the 6,000 combined acres of Squaw Valley and Alpine Meadows. The current proposal has the lift going from The Village at Squaw Valley, up and over KT Ridge where passengers will have an option to disembark, according to Hepburn, and then on to Alpine Meadows. The project calls for 37 lift towers and two angle stations to span the 2.46 miles of distance between Squaw Valley and Alpine Meadows, and would be able to transport roughly 1,400 people per hour. The gondola will be located on land leased or owned by Squaw Valley Ski Holdings, the United States Forest Service, and private landowner Troy Caldwell. Pending approval by public agencies, Squaw Valley Alpine Meadows said it believes it can finish the project in time for the 2019-20 season. The resort did not release a figure on the cost of the project, because much of the project, including the route, has yet to be finalized. Currently, skiers and snowboarders can ride from Squaw to Alpine via a gate the resort opens once conditions become suitable, but according to Hepburn the trail flattens out and isn’t ideal for snowboarders or downhill skiers. 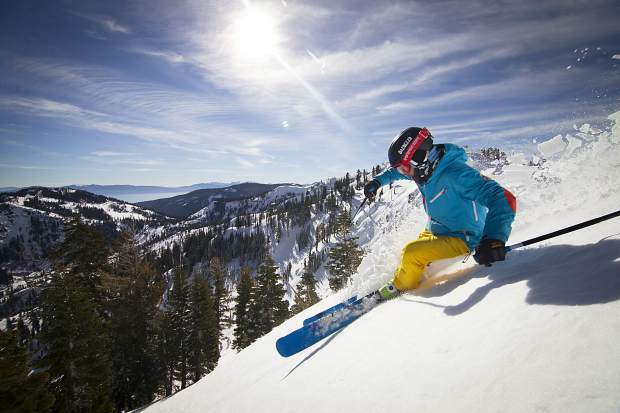 Squaw Valley Alpine Meadows is targeting Nov. 17 for the resort’s opening day.